I am posting this on behalf of a friend who is on a project to set up a library for the less fortunates in a small village in Sabah,Malaysia. The time has come for me to make a plea on behalf of the children and villagers of Kampung Lobong-Lobong. Remember my first ever note on FB? I have a wish to empower these able people and I found that many friends and acquaintances also share my wish. So the first step we are taking is to create the village’s own resource centre and library! Hence today, I would like to ask you to send us books to help us furnish it. The centre will be housed in an existing building within the village. There are roughly about 90 households in the Lobong-Lobong village. 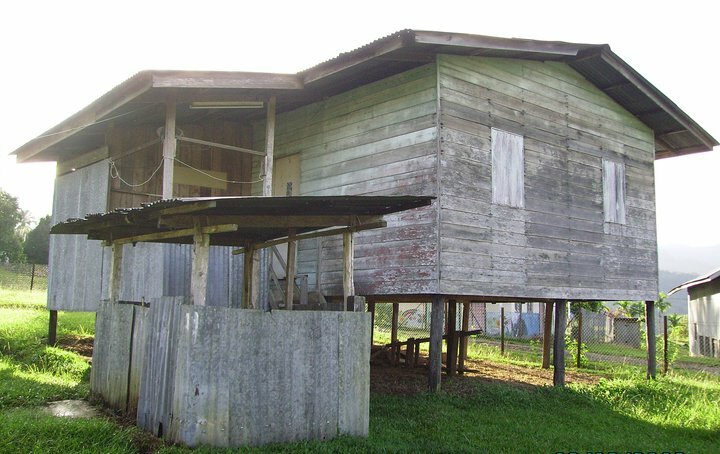 Each household has an average of 3 to 5 children whose ages spans between 3 to 25 years… there is a primary school in Kuang village which is about 25mins walk away, whilst in order to attend secondary school these youngsters will either attend boarding schools near Ranau i.e. SMK Lohan or SMK Narinang but they will usually come home to the village in the weekends to help tend the farms and fields. Please comment below for further enquiries, please also spread the word to friends whom you think would be able to contribute, thank you in advance! Hands up for those of you who have tried or are still trying to sit down cross legged with the intention of meditating, while trying endlessly to prevent thoughts from coming into the mind or worse still, trying to keep yourself awake. Stop feeling guilty for not being able to come to a ‘focus on nothing’ situation. You probably have not heard or been exposed to the different types of meditation: active and passive. Passive meditation is the type of meditation which is commonly known. I would now like to introduce the concept of active meditation to my fellow readers. Active meditation takes place when you focus your mind on the activity that you are performing at that moment and not on anything else. This in fact is the aim of Yoga, to experience a meditative state in everyday life. “Don’t try to be passive. How can you try to be passive? You can sit like a Buddha, but that passivity will just be skin-deep. Deep down you will be in a turmoil, you will be boiling, a volcano – you can erupt any moment…. People sit in Zazen for years…just trying to make the mind silent, and it goes on working, goes on working, goes on working. To put it briefly, passive meditation is not the only way to develop the mind and body connection. Our everyday activity of walking, eating, cooking and cleaning, if done mindfully and with focus, constitutes active meditation. For instance, while performing a yoga asana, be mindful of how your body feels as you perform that action, the stretch and contraction of the working muscles and the rhythm of your breath. Imagine what the activity would be like for a child or for someone who had never experienced it before. Therefore, let us all go active before we turn passive.